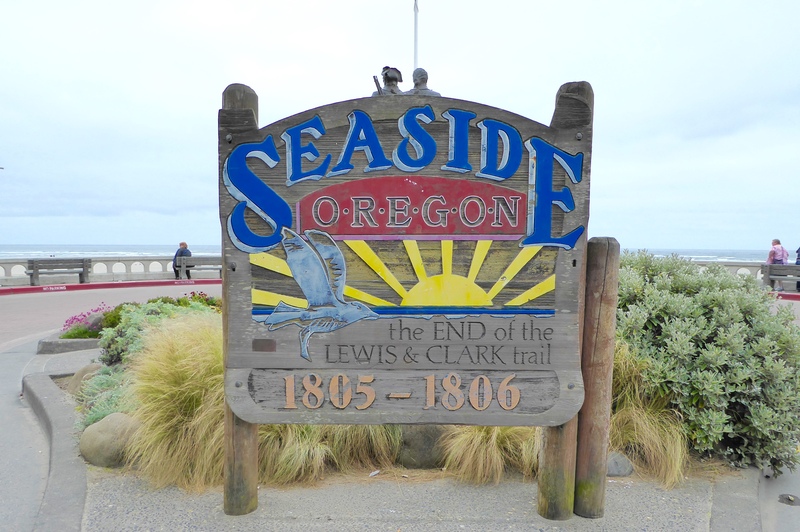 Like Lewis and Clark before us, we have been exploring the area around Seaside and Astoria, Oregon. You could easily spend a week visiting the many sites and parks focusing on Lewis and Clark and the winter of 1805-6. As my parents lived about 50 miles north for 20+ years, we’ve seen a fair number of those sites before. 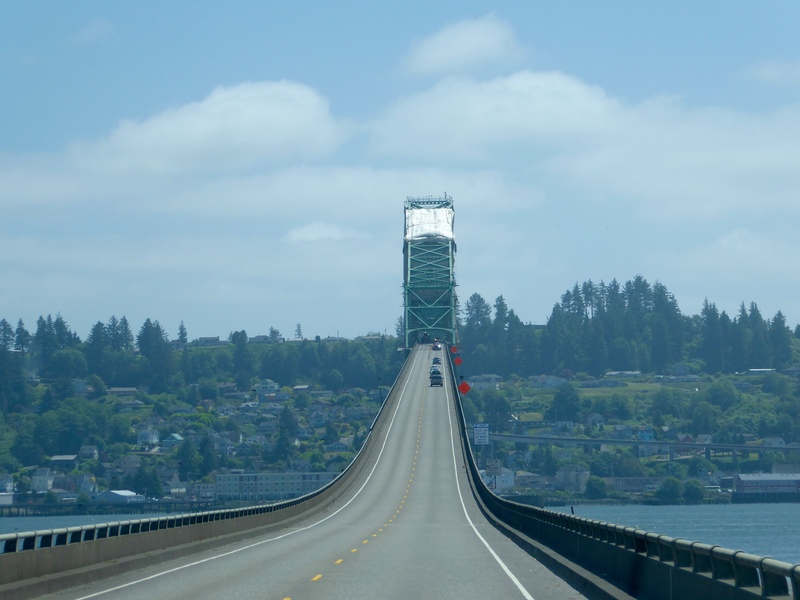 For this stay in Seaside, we focused on the geographic and maritime aspects of the area. 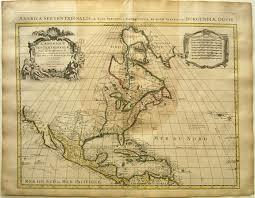 In the 17th and 18th centuries, early cartographers labeled this part of the world Terra Incognita, Land Unknown. In fact, the Pacific Coast and Pacific Northwest were one of the last areas in the world to be charted. 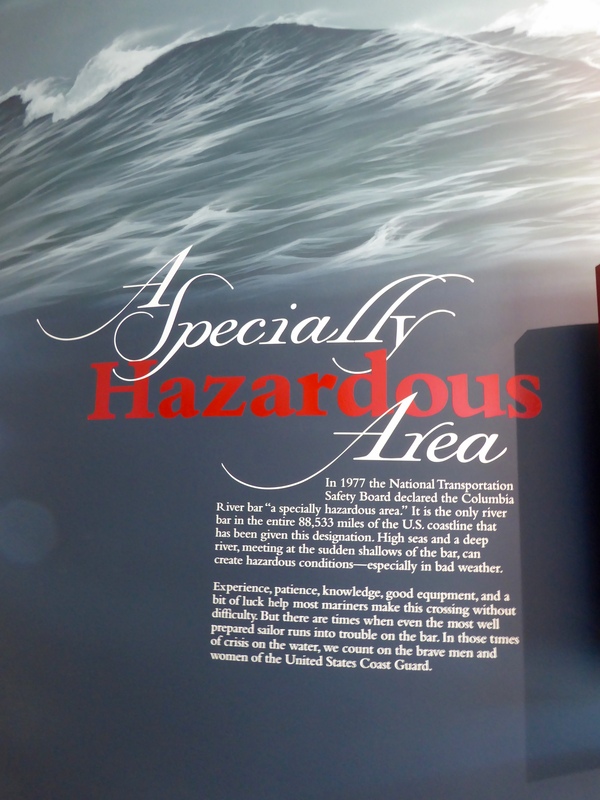 In 1977 the NTSB designated the Columbia River Bar “A Specially Hazardous Area”, the only river bar in 88,533 miles of US coastline to have that designation. 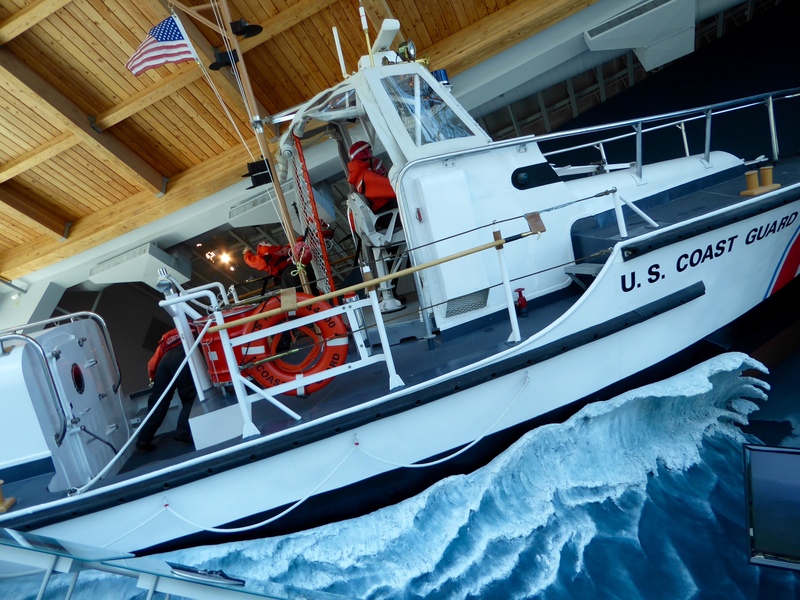 Because the conditions here are so hazardous, the US Coast Guard has a large presence, one of 18 concentrations in the country. 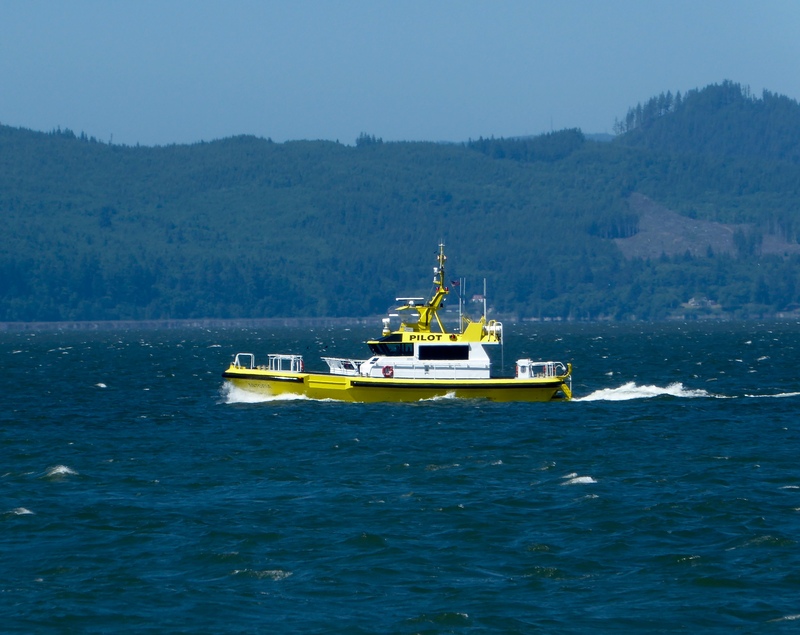 The Coast Guard’s National Motor Lifeboat School is located at Point Defiance on the Washington side because “surf and weather conditions on the Columbia River bar are consistently the worst in the US.” Their Rescue Swimmer School is in Tongue Point, Oregon. Today there are bar pilots that must be used for commercial ships to cross the bar. Once across the bar, a river pilot takes over to guide the ship into port up river. Of course, fishing and canneries are part of the rich history of the area. An interesting tidbit is that during WWII there was an industry here fishing for sharks. Shark liver has a high concentration of vitamin A which was harvested to help the vision of night pilots during the war. And where did we get all that information? 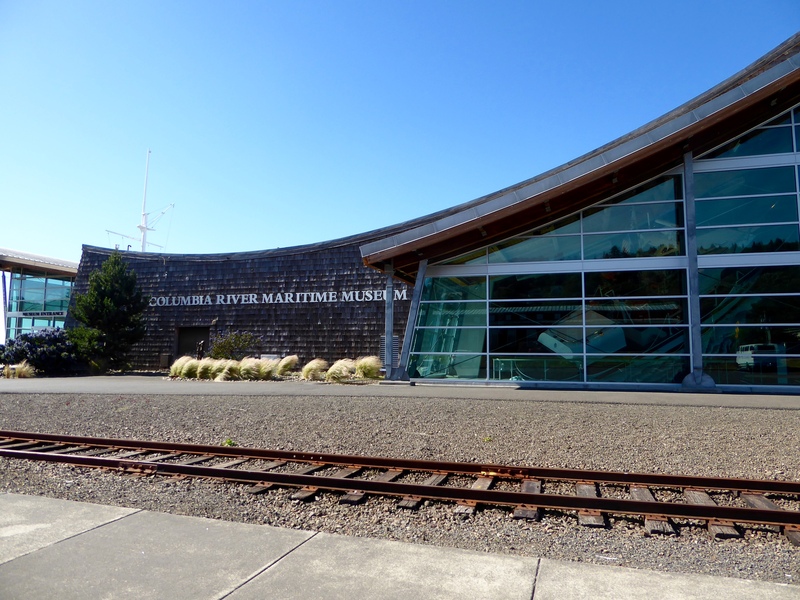 From the Columbia River Maritime Museum in Astoria. We learned so much the afternoon we spent there! There were two Coast Guard ships docked near the museum. 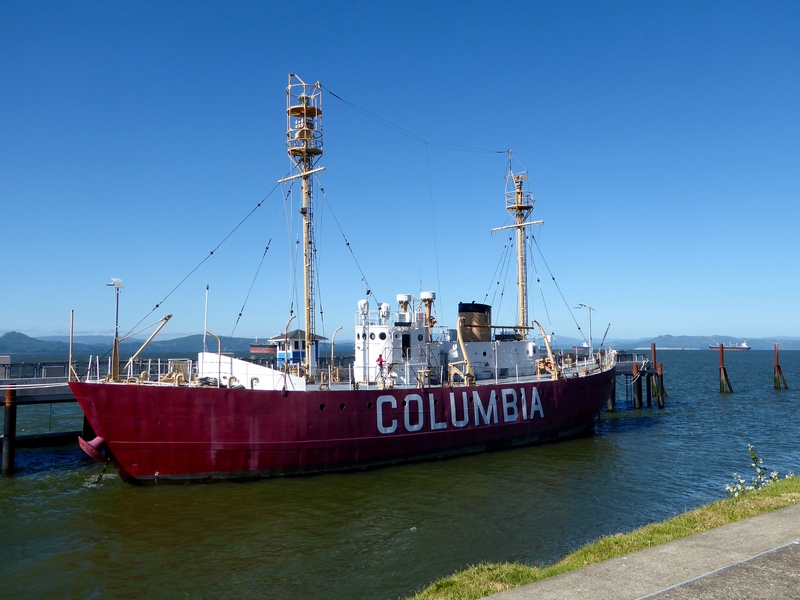 The first was the Columbia lightship. It is part of the museum, and can be boarded and explored. Until 1979 it was a floating lighthouse, anchored 8 miles out in the Pacific, to assist other vessels find the mouth of the Columbia River. With the advent of GPS and other electronic means, the floating lighthouses were no longer needed. There was also an active Coast Guard vessel docked nearby, the USS Steadfast. When not in her home port of Astoria, she spends time fighting the importation of drugs into the United States. The Steadfast journeys all the way south to the country of Columbia doing her work. 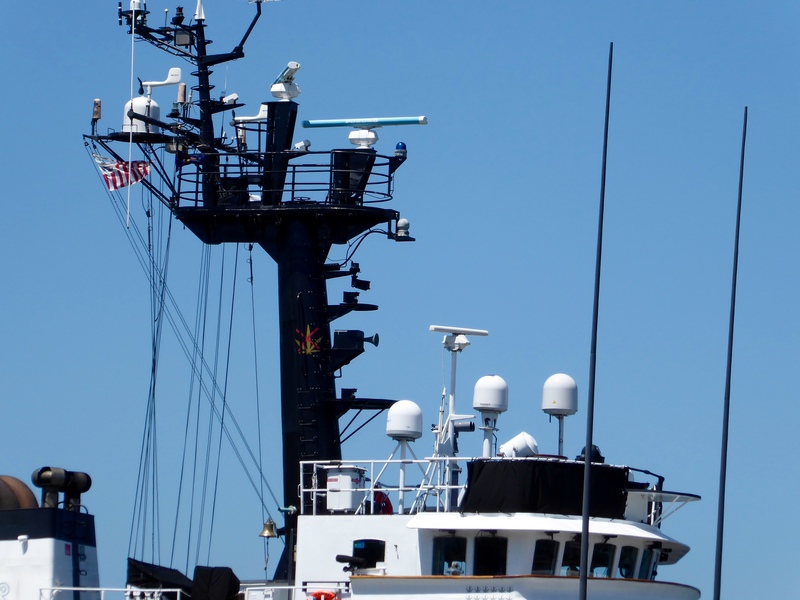 The gold marijuana leaf insignia on the black mast indicates this ship’s crew has stopped over 1 million pounds of marijuana from entering the US. She is the first, and one of only two, Coast Guard ships to bear that distinction. The Steadfast has also stopped 27,000 lbs of cocaine from entering the country. In addition to regular US flag, this ship also flies the Union Jack at the bow. Also called the U.S. jack, it has 50 white stars on a field of blue. 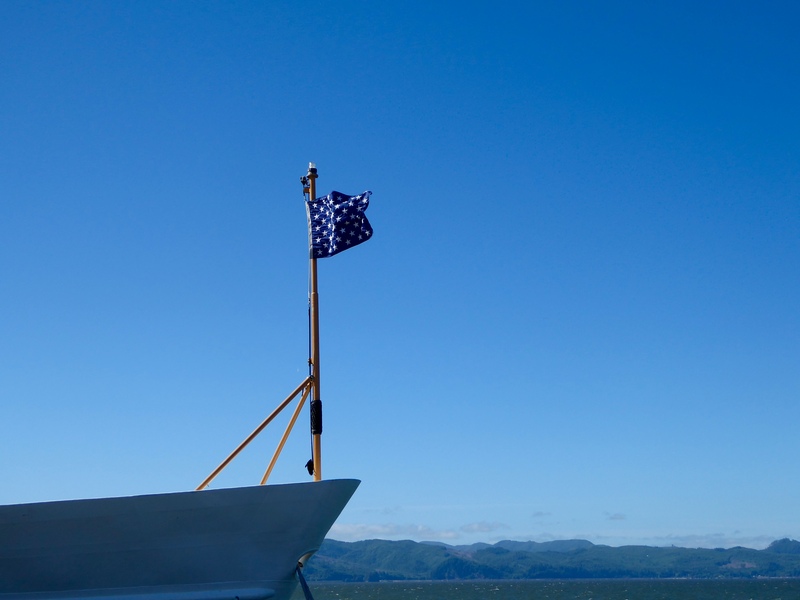 This flag is used by the U.S. Coast Guard, a few other US agencies, civilian ships and yachts. The jack is only flown when the ship is anchored, made fast or alongside. We learned all that in about 3 hours in the museum! Imagine if we’d of spent all day there! But there were other fun things to do too. We were super happy to meet up with Beth! We camped next to her at the Escapees Escapade in Tucson earlier in the year. 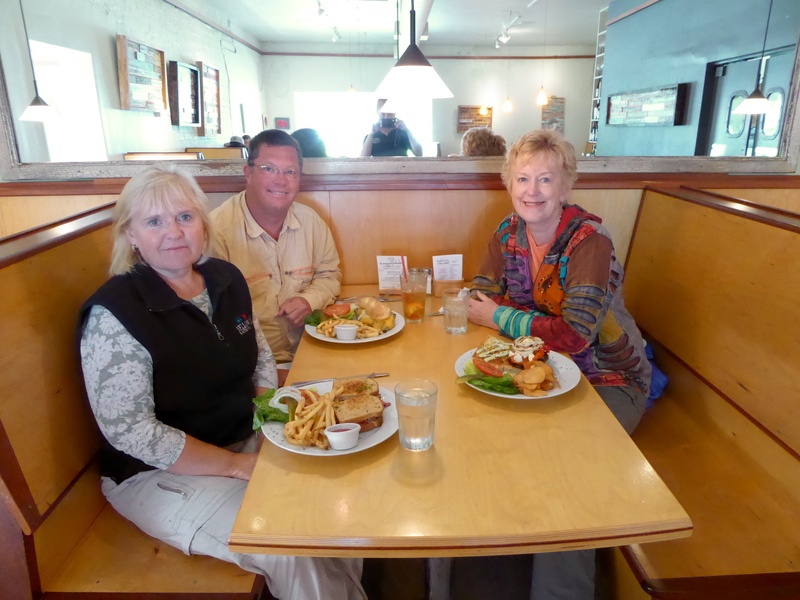 She is currently volunteering at an Oregon Park lighthouse down the coast and this was our chance to get together. It was great to reconnect! 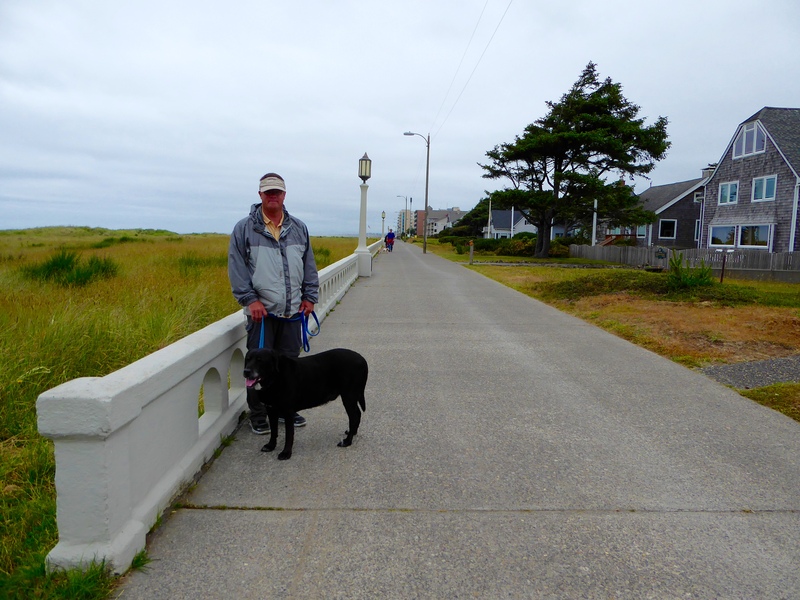 We also walked along the Seaside beach and 1.5 mile promenade. 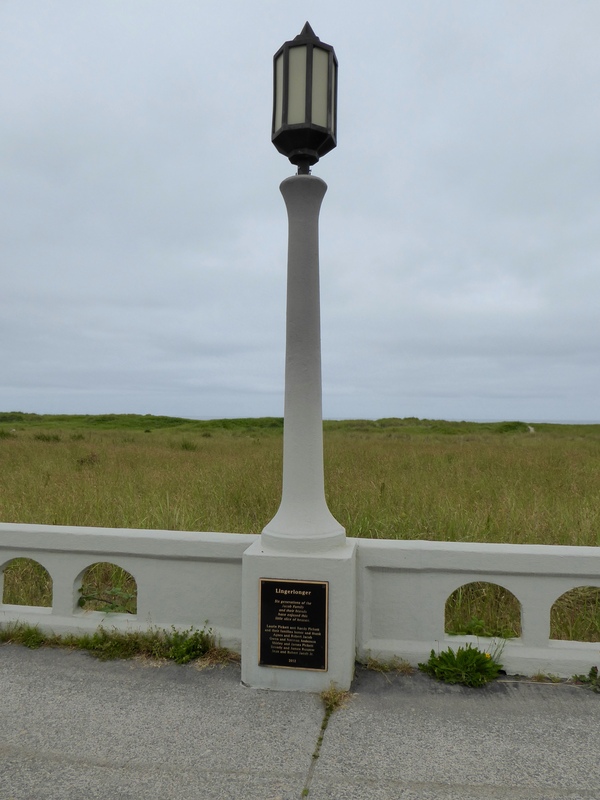 One of the cool features of the promenade was the light posts all along the way. Almost all had a plaque at the base. 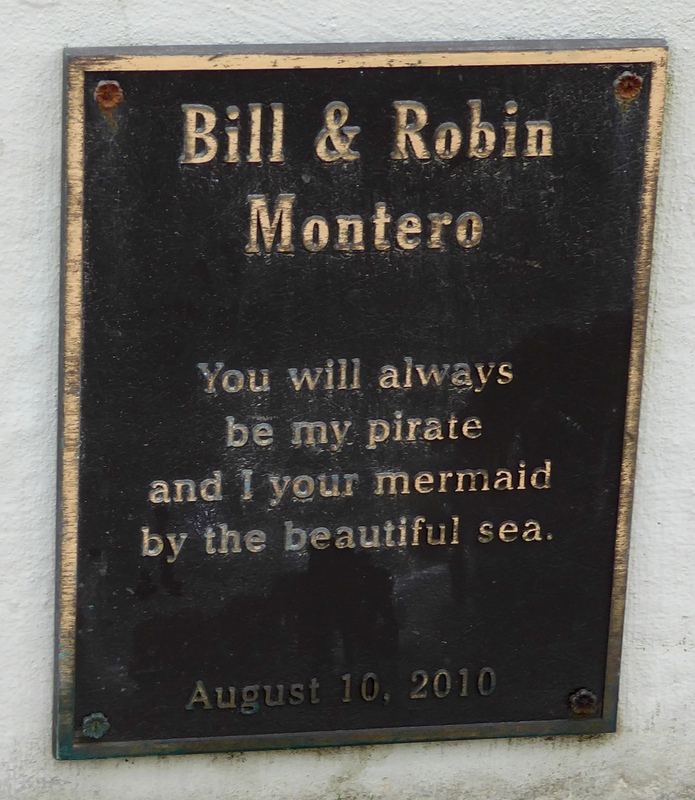 Many were tributes to grandparents or great grandparents who had come to Seaside and started a family tradition of fun times at the beach. And there were a few others as well. This was one of my favorites. 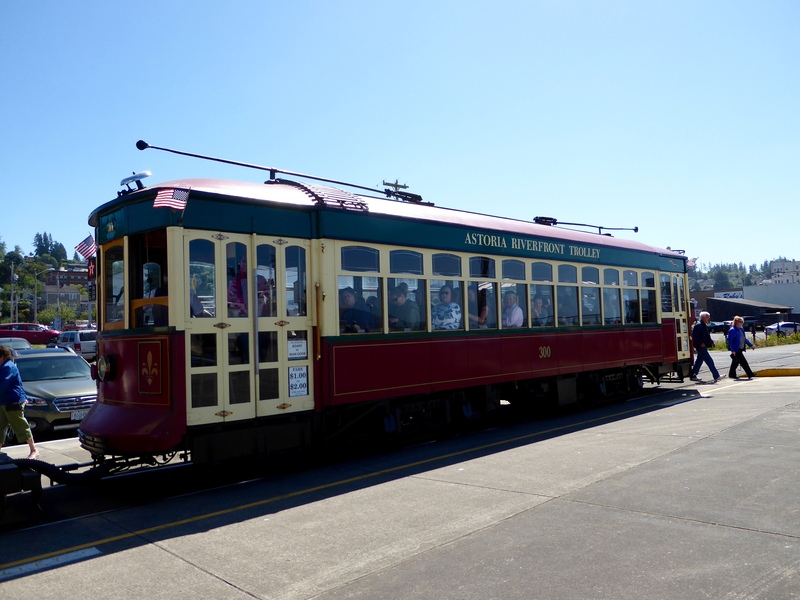 We also enjoyed an afternoon on the Astoria Trolley. For $1 you can tour the waterfront with narration by the conductor. For $2, you can get on and off all day. 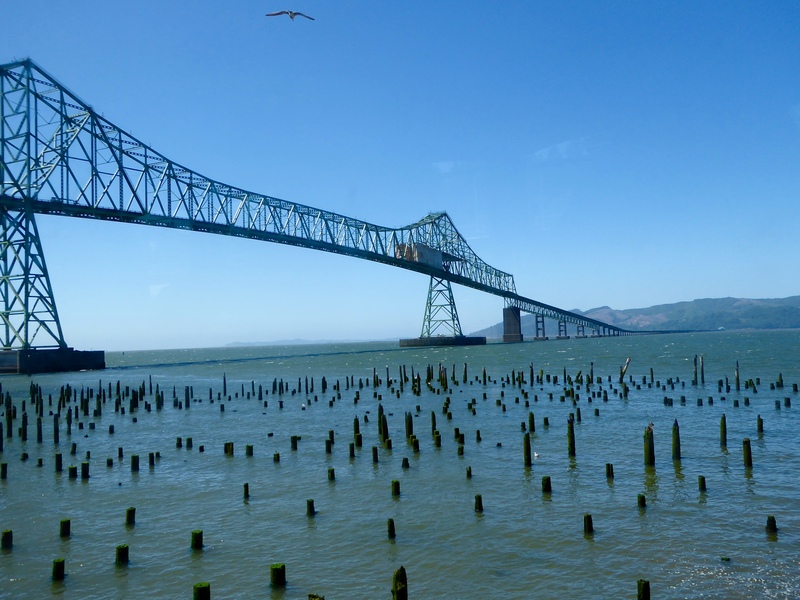 While riding the trolley, we had a good view of the 4.4 mile Astoria-Megler Bridge across the mighty Columbia River. Traversing this bridge has always been a bit of a thrill because it rises so high (about 200 ft.) on the Astoria side to allow for those big ships underneath. Given what we now know about the waters near the bar, the construction aspect itself (1962-1966) is very impressive! The last half mile rise! We also saw the Lady Washington at sail. She was the ship used in the Pirates of the Caribbean movies and now takes on passengers for tourism. 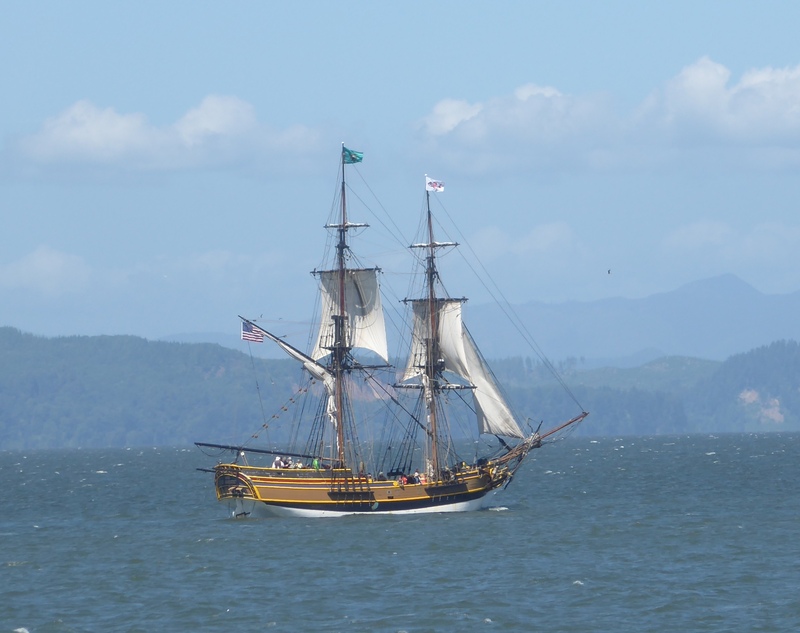 Although she usually ports in Aberdeen, Washington, she has been sailing these waters for a couple weeks. We’ll have to catch up with her on our next visit to the area. There is still so much to do here and we look forward to our next visit to the former Terra Incognita! PS No more mice!!! I am happy! Love your journal of your travels! Love getting comments to know someone is reading! Thanks! Great Class, didn’t know all that info. We didn’t either, and probably like you, have been to this area many times. I walked ou of the museum with a big smile – great to keep learning!